Reliance Jio launched JioPhone match pass offer is exclusively for Jio customers. Reliance Jio get upto 112 GB data with a validity of upto 56 days. 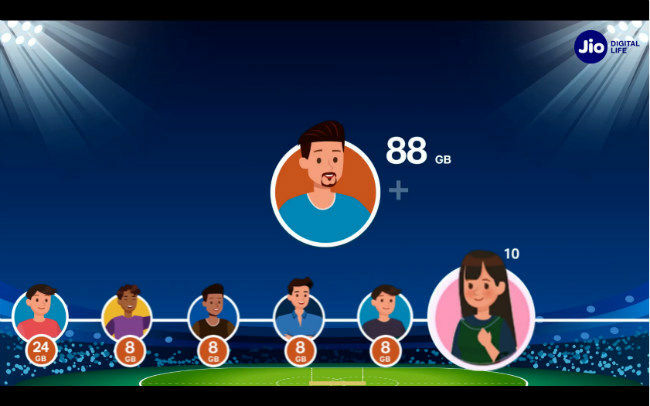 To avail the offer, subscribers will have to ask their family or friends to buy a JioPhone, and after a successful purchase, they will get 4 days Jio Cricket data pack with 8GB data. The JioPhone Match pass offer valid from T20 Cricket Fever in April and May 2018. Under the offer, Jio users can Get upto 112 GB data with a validity of upto 56 days, Each 8GB pack is valid for 4 days from date of activation of pack, The 24 GB bonus pack is valid for 12 days from date of activation of pack, All you need to do is to have 10 of your friends to get a JioPhone, Assured data packs when each friend gets a JioPhone, following are the details of the benefits offered under this offer. Pass on the toll-free number (1800-890-8900) to your friends or relatives who may be interesting in buying the JioPhone. They will need to call the toll free number and enter your Jio number followed by their area PIN code. (Note: This step is important and skipping this step will void the entry process). Your friends will then need to visit their nearest Jio retailer and buy a JioPhone or they can order one online from Jio’s official website Jio.com. 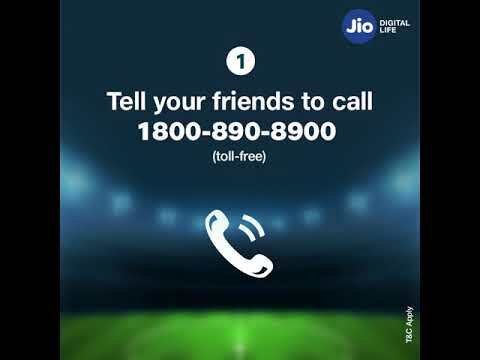 Once all the above steps are successfully completed and your friend gets the JioPhone, the free data will be credited to you and your friend’s Jio account.